Madman Muntz was a legendary hustler. He started his own used car lot at age 15, and went on to create the “he must be crazy” style of commercials that are used today for everything from used cars to mattress sales. But being on television wasn’t enough for Muntz. Although he lacked even a high school diploma, the man was something of an electronics whiz, so as the TV boom exploded in the late 1940s, he decided to get in on the new technology by manufacturing his own televisions. Muntz televisions were no frills affairs, which kept their prices low. His television business was quite successful for a decade, but by 1959 Muntz TV was out of business. Between the car lots and the boom years of his television business, Muntz built up a bankroll big enough to finance the Muntz Car Company in 1950. The company managed to build 400 Muntz Jets before closing 4 years later. The Muntz Jet is a bit of a platypus of a car, built with a little bit of this and a little bit of that, but their good looks and rarity have made them quite collectible. Anyway, back to 1959 and the end of his television business. 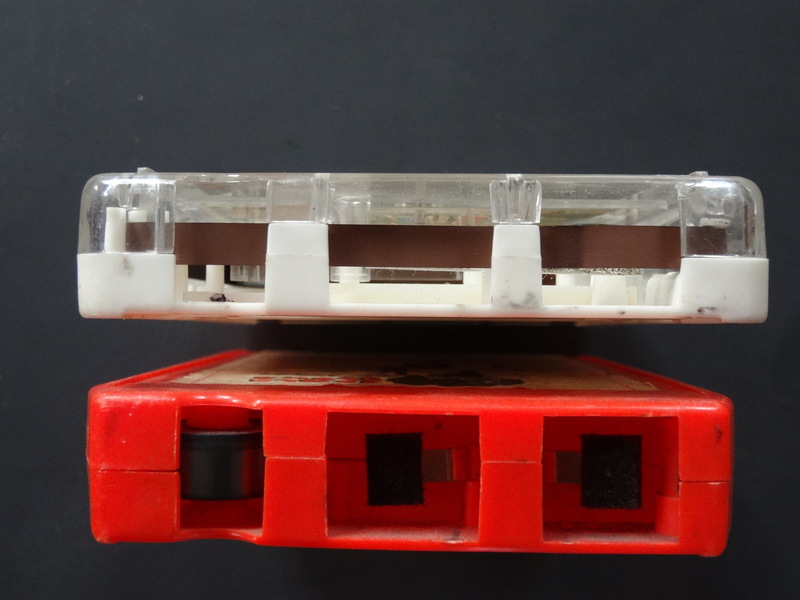 That same year, Fidelipac, the first commercially available self-contained looping tape, was introduced. For the next 40 years, these were the “carts” used in radio stations–the cartridges upon which commercials, bumpers, etc. were recorded and played back. This is where Muntz’s background as a car manufacturer and salesman along with his interest in electronics came together like chocolate and peanut butter. After reading about Fidelipac, he saw the opportunity to solve a problem that had plagued auto manufacturers: on demand music. Aside from some noble but not particularly successful experiments with automobile record players, music loving motorists through the ’50s were stuck listening to whatever was playing on the radio. Muntz’s brilliant innovation: low cost, dash-mounted decks capable of playing back Fidelipac-style cartridges. It took him a couple of years to get his next major business up and running, but by 1962 the Muntz Stereo factory was up and running. The Muntz Stereo-Pak was a 4-track cartridge, unlike the Fidelipac, which was at first a two and later a three track cartridge. 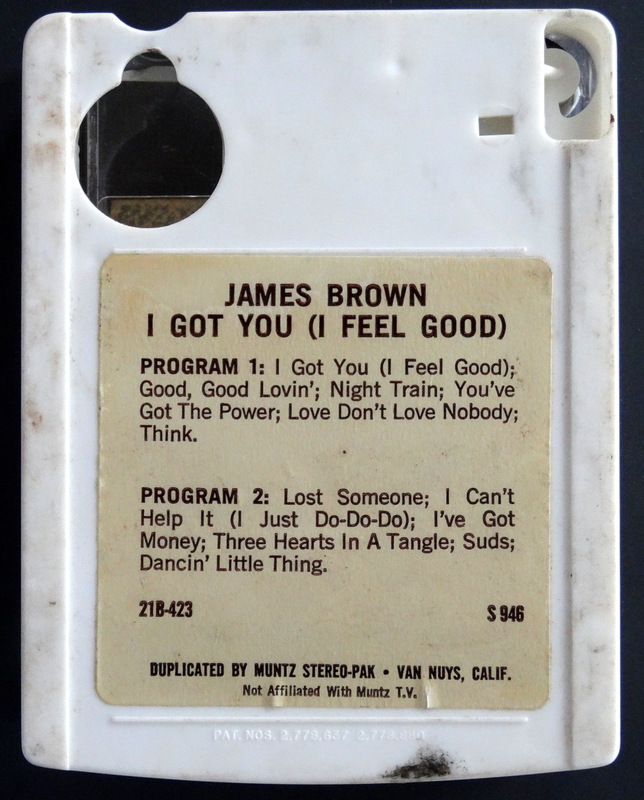 This allowed a user to flip a switch on the deck to move from track one to track two, thereby changing songs. The company licensed music from the major labels, put together some Muntz-style “he must be crazy” advertising and off they went. Can you imagine how cool those first Muntz Stereo-Paks must have seemed to a generation that had never been able to carry their favorite music in their pockets? It was what we now call a “killer app,” and just like today’s killer apps it spawned competitors. In 1964 Lear (yes, the jet company) was making the rounds of the auto manufacturers with demo models of their new Stereo 8 system. 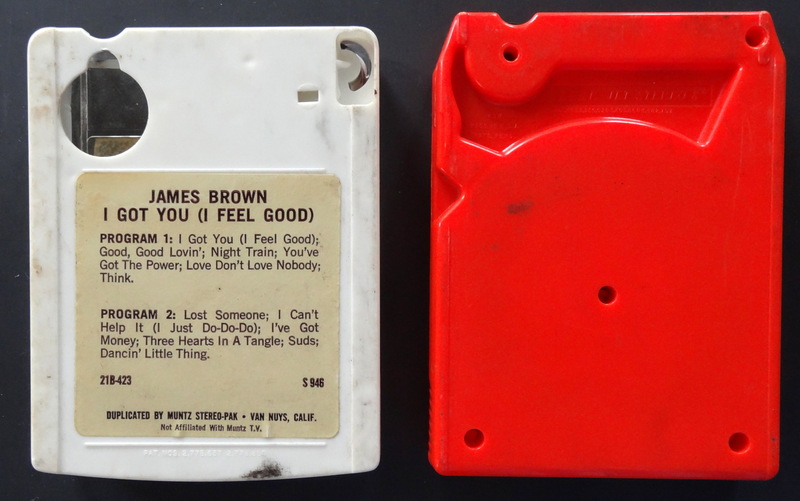 Two years later, Ford offered 8-track players in their 1966 model year cars. The Stereo-Paks days were numbered. By the end of 1970, Muntz Stereo and the 4-track tape were obsolete. A warehouse fire that year was the final nail in the coffin. What’s a Stereo-Pak tape worth today? Like any record, that question comes down to artist, condition, and rarity. 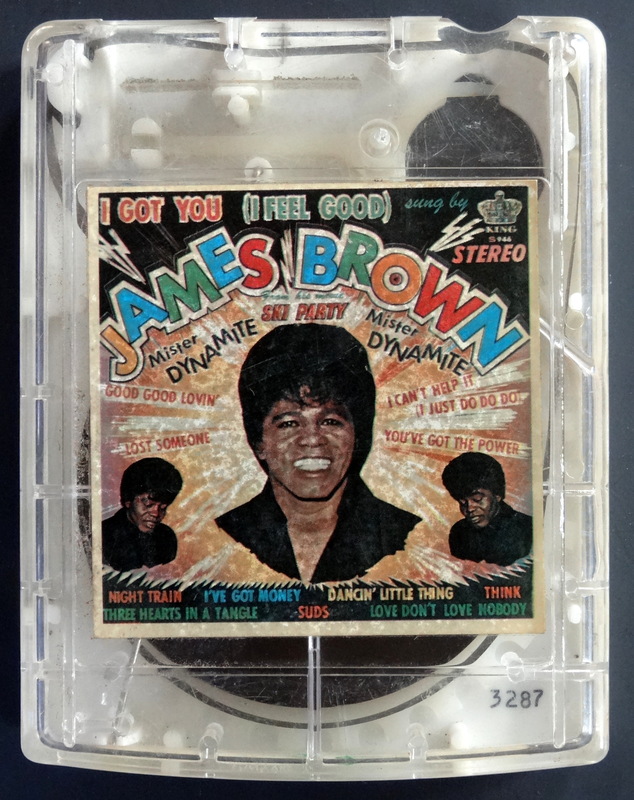 A still in the shrink Stereo-Pak from, say, the Beatles, for example, might go for hundreds of dollars, while my heavily used James Brown tape would trade for maybe ten bucks or so. 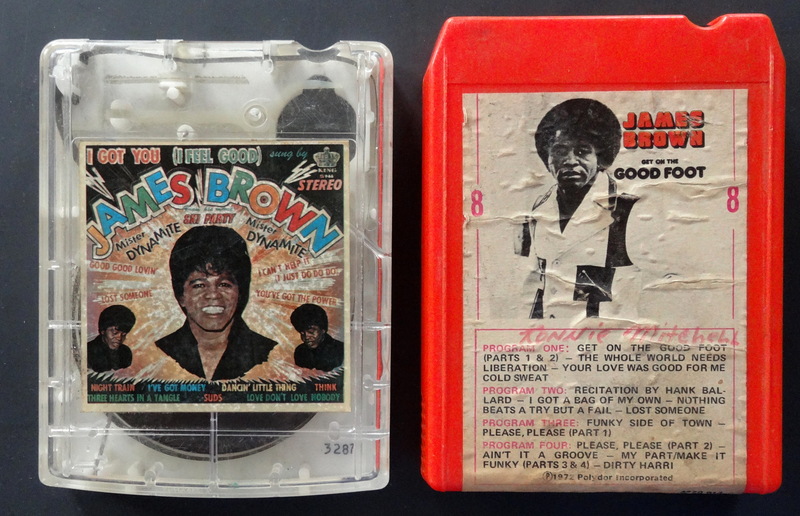 The tapes themselves haven’t aged well, so sticking one into a player is sort of audio Russian roulette, and speaking of players, you can’t just jam one of these into an 8-track deck, as the formats are similar but not the same (see photos). 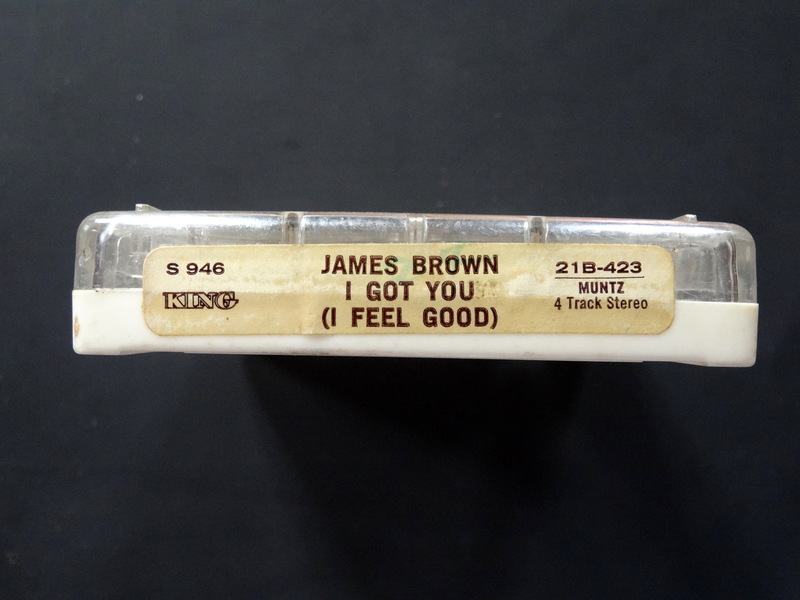 With all of that in mind, buying a Stereo-Pak isn’t about buying an album anyway, but rather an artifact and a story, and it’s a pretty cool story, too, isn’t it? Happy hunting. Very cool! Thanks for the history lesson!